Of all the delusions of North Korean boy dictator Kim Jong-un, perhaps the greatest is that his tiny, impoverished, criminal prison state has a "space agency." 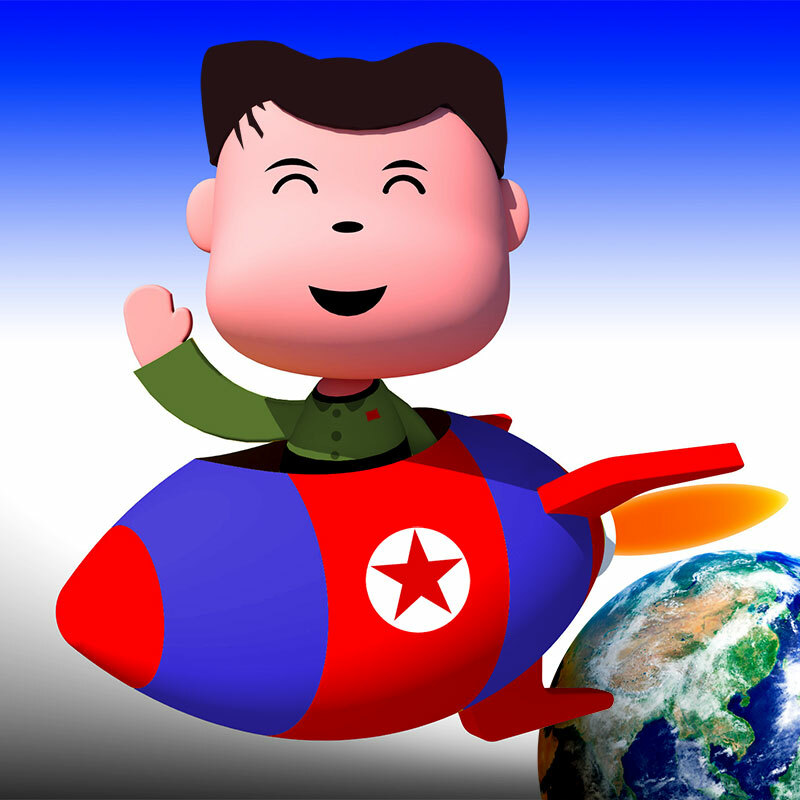 The DPRK's National Aerospace Development Administration (NADA) has successfully (?) launched four rockets into Earth orbit, although in no instance did the rocket's payload, communications and "observation" satellites, actually work. This week the Hermit Kingdom revealed the new logo for NADA (formerly the Korean Committee of Space Technology, which you may know better as 조선우주공간기술위원회), and it looks awfully familiar. "Seen in the lower part of the globe-shaped dark blue emblem are white-colored letters 'Kukgaujugaebalkuk' (National Aerospace Development Administration) in Korean and in its upper part light blue-colored letters 'DPRK' with the Great Bear above them. Printed in its middle are white-colored letters 'NADA' in English. … Two light blue-colored rings intercrossing the emblem symbolize satellite orbits. … The Great Bear reflects the will of the space scientists of the DPRK to glorify Kim Il Sung's and Kim Jong Il's Korea as a space power. … The globe represents the DPRK's idea for peaceful development of the space and the rings show the DPRK's will to launch satellite into all orbits." While Kim's illegitimate regime repeatedly claims that its space program is for "peaceful" purposes, other regional powers, especially Japan, worry that the rogue state is using the program as a cover for attempts to further develop long-range missiles that could deliver nuclear weapons to Japan or even the US.